"It's worth waiting a whole day just to eat this ramen." FilmBuff has released the trailer for a delectable documentary titled Ramen Heads from Japan, profiling five of the finest Japanese ramen chefs and their techniques. If you love ramen, you have to see this. If you don't know what ramen really is, you have to see this. If you love good food, you have to see this. Koki Shigeno's Ramen Heads is a fascinating culinary film about what makes ramen so great, and how dedicated to their craft these various chefs are. "As a chef maybe you need to be more of a ramen head than your customers. You need to make the soup so good that people never get tired of it, even if they eat it every day." I caught this at IDFA and it's an okay doc, felt more like a film best for train/bus trips than the cinema, but it will make you love ramen even more. Get a taste below. In Ramen Heads, Japan's reigning king of ramen, Osamu Tomita takes audiences deep into his world by revealing every single step of his obsessive approach to creating the perfect soup and noodles along with his relentless search for the highest-quality ingredients. In addition to Tomita, the film also profiles five other notable ramen shops, each with its own philosphy and flavor, exemplifying the various different aspects of the ramen world. Mixing in a brief rundown of ramen's historical roots, the film gives viewers an in-depth look at the culture surrounding the unique and beguiling dish. Ramen Heads is directed by Japanese filmmaker Koki Shigeno, making his feature directorial debut with. It premiered at film festivals in 2017, and also played at IDFA. 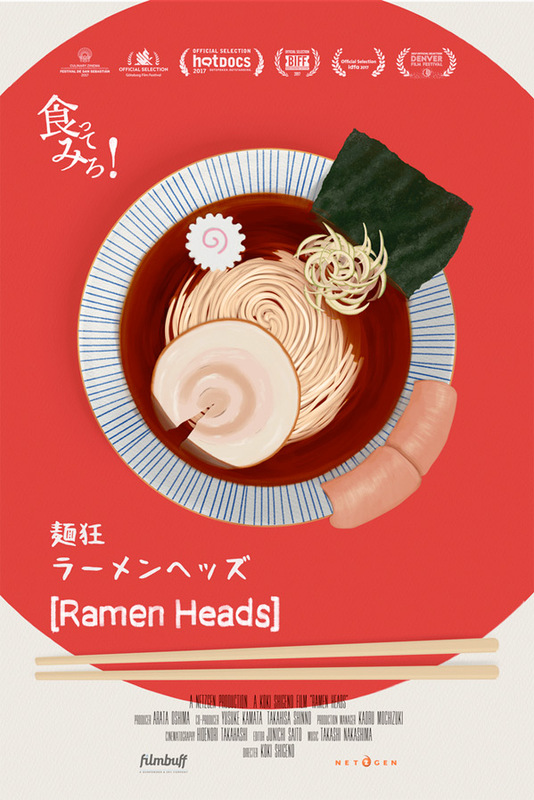 FilmBuff will open Ramen Heads in select theaters starting March 16th.